Also See:Page 1, Page 2, Page 3, Page 4, and Page 5. 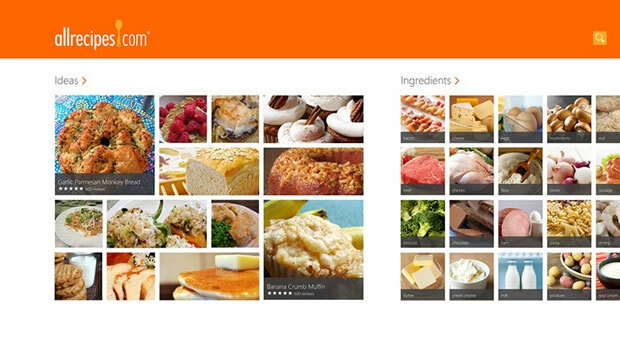 I’ve been a user of Allrecipes Video Cookbook for years and was thrilled to discover there was a Windows RT app available. Recipes are well organized and easy to find. 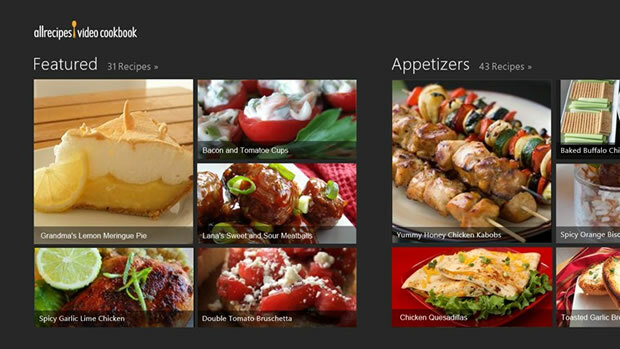 The app provides tons of recipes that are accompanied by videos. Please note that an internet connection is required to use this app. If you want a great recipe app and don’t need the video version, this Allrecipes app will fit the bill. It comes with thousands of recipes. Recipes comes with beautiful photos, nutritional information, plus ratings an reviews. You can email, pin, post, or print recipes as well. Certainly a must have app. 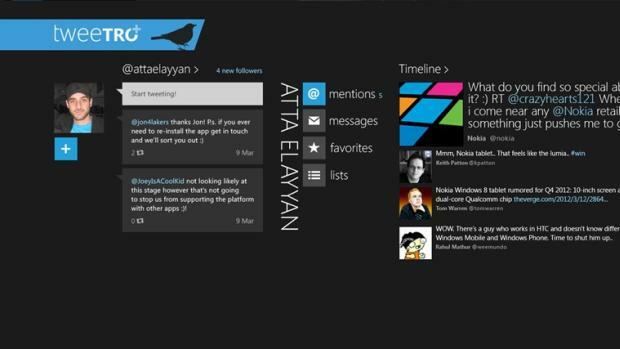 Tweetro is an elegant Twitter client for Windows 8 and Windows RT It is regarded by many as the best Twitter experience on these platforms. Features include multiple account support (2 included, up to five at an additional fee). 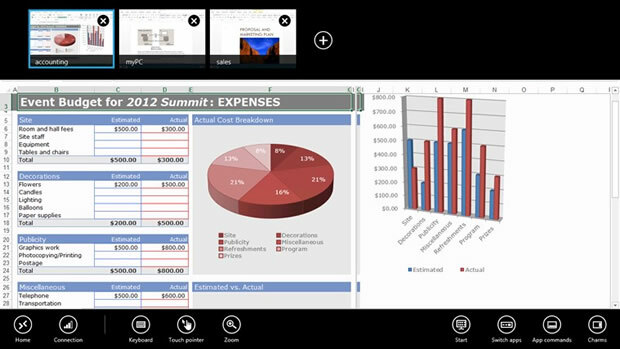 Want the power of your desktop while using your Windows RT tablet? Use the Remote Desktop app to remotely control your PC and use applications that are not available for Windows RT. This app is great for when you want to access you desktop from anywhere in the house. 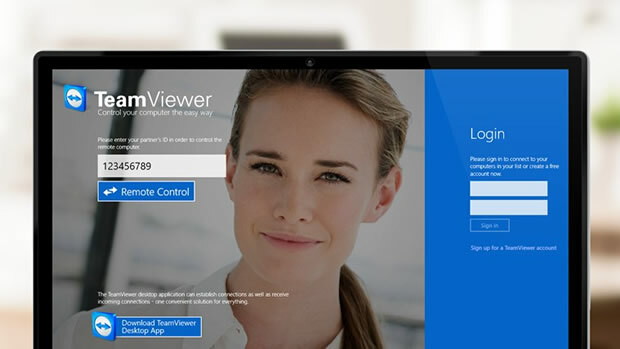 If the Remote Desktop app doesn’t suit your fancy, or if you are already a fan, download the Team Viewer app. This is another great option for remote control of connected desktop PCs. 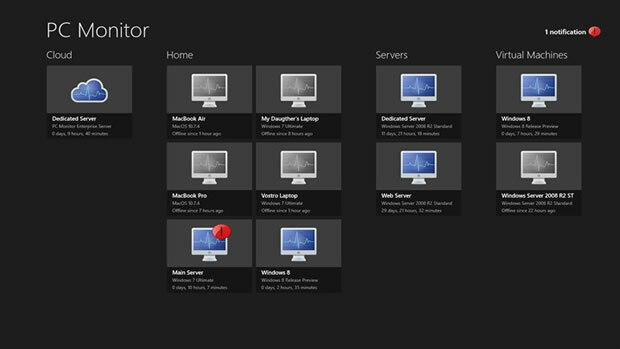 This is my app of choice for providing remote desktop support to my clients (and family and friends). Monitor and manage mission-critical IT systems using this secure app that gives you complete control of your computers and applications from anywhere, anytime. PC Monitor dramatically reduces the level of manual checks support engineers have to do on a daily basis and provides you with a real time status of your monitored systems. Great list of apps. Thanks for putting this together! I have surface tablet with windows 8.1 RT , i want to install my favorite software and applications from USB not from Windows store , but whenever i am trying it says you can install only from Windows store. Please help me and instruct me how can i do this ? Tnx i m waiting for your response. You can’t install apps or software if is not in the store, you will need to upgrade to surface pro. Is it okay to upgrade? How do i upgrade? Anyone know of any drawing Apps for the Surface 2 RT? I bought one thinking yeh no probs should be able to get a drawing app where you can use layers such as Scetchbook Pro. But find out that none exist. Well from my searching anyways. Has anyone come across one yet? Is the Surface Pro 3 really water cooled?